What is Grave Transfer Ownership? Grave Transfer Ownership refers to obtaining or establishing rights to a grave plot, where the deed has been misplaced, lost or is no longer legible. 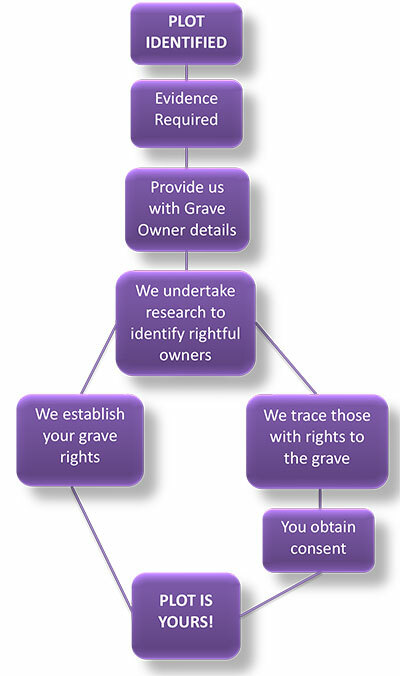 Many cemeteries and crematoriums require proof of rights to use a plot before an interment takes place and, where information is already known about the original Grave Owner; such as their name and date of death, we are able to undertake the necessary research to either prove your rights to use a specific plot or to identify the rightful owner in order for you to obtain their consent.